The Post Harvest Losses ( PHL) have been estimated to be in excess of 10% of production a few years ago. Of these, more than 50% is attributed to Infestation from the eggs, larvae & adults of the burrowing pests. 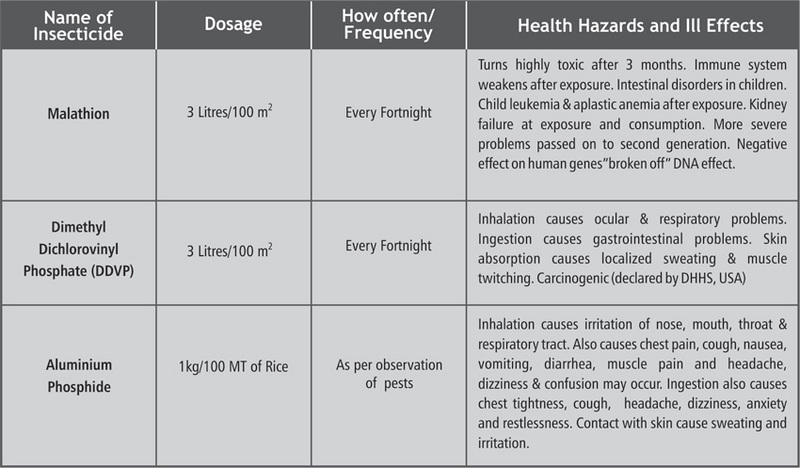 Grains that suffer from infestation are paddy, wheat, corn, maize, spices & cereals. Disinfestation refers to the regulation or management of species that are detrimental to a person’s health. It also impacts the ecology and the country’s economy. It is difficult and next to impossible to detect infestations at early stages because they cannot be seen by naked eyes. A uniform field is applied affecting the rice as well as pathogens throughout the commodity. The moisture content in weevils & eggs is much higher than moisture in rice, hence rapid heating of weevils (pathogens) takes place without heating rice to higher temperatures. Due to the dielectric difference, the pathogens are heated at a higher rate than the rice resulting in thermal disinfestation without harming the host material. 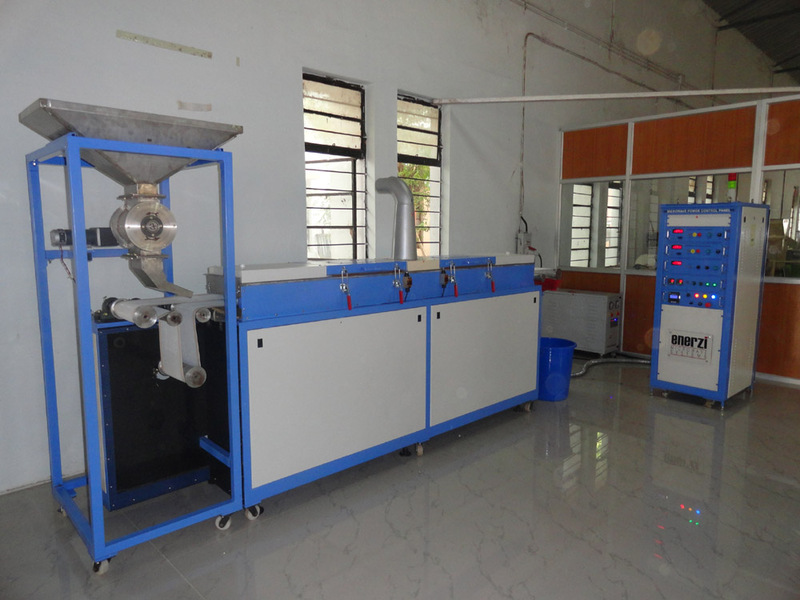 Our organisation DFRL Mysore has independently tested the SHF system for disinfestation of Rice, offered by Enerzi Microwave Systems Pvt Ltd, continually since 2009 and has achieved success first time in our country. We believe that microwave technology is a very novel, effective, fast and state - of - the art technology to treat rice and other grains without harming the nutrients and there by retaining the food value unaltered. -Dr. Prakash Patki, Scientist, DFRL Mysore, India. The properties of rice after microwave irradiation were evaluated by means of amylograph and enzymic determination of the total and the damaged starch. The content of the total starch was not affected by the immediate energy output used for irradiation... Amylographic characteristics suggest minimal changes resulting in MW treatment of rice at moisture below 23%. -Dr. Jitka Pinkrova & Team, Institute of Chemical Technology, Prague,CZ Microwave irradiation condition affecting rice temperature and pest mortality were studied. Adults and eggs of rice weevils suffered 100% mortality when final rice temperature was above 0.017kWh/kg. Eggs were more susceptible to temperature then adults. -Dr. Siming Zhao and Team, College of Food Science, Hubei, China Insecticides residues have adverse effects on humans, and insects develop resistance to insecticides. Hence There is a need for an alternate method for disinfestation of grains. Disinfestation of grains using microwaves can be an alternate method to insecticides for killing insects. -Dr. N. D. White, Sr. Research Scientist, Cereal Research Centre, Canada Alternatives to milled rice disinfestation with methyl bromide have to be found due to prohibition of the use of chemicals... In conclusion, Microwave energy is an effective and clean alternative to rice grain chemical disinfestation.